ARRA News Service - Today, Japan's Prime Minister Shinzo Abe addressed a Joint Session of Congress. He is the first Japanese official to ever address Congress. It was obviously, the prime minister was invited to also encourage Congress to pass renewal of the Trans-Pacific Partnership which will also benefit Japan. The U.S remains as the principle partner which has kept China from going to war with Japan in the past and Japan has permitted U.S. bases and ports in Japan. In addition, Japan has also restrained itself from developing militarizing nuclear weapons to defend themselves relying on the agreement with the U.S. as an ally to help defend their country. "Monetary policy is the primary mechanism for pricing goods and services by nations, and any trade agreement that ignores this fact is no trade agreement at all. John Boehner has chosen to highlight this great flaw of the Trans-Pacific Partnership by inviting the key opponent of a monetary accord to speak in favor of an agreement — that primarily benefits Japan. 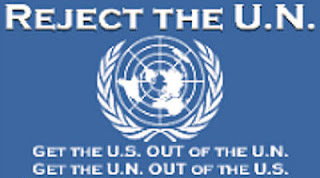 The U.S. Congress is not a venue for foreign powers to influence the outcome of a treaty to which they are a party, and particularly one which ignores the two-thirds Senate majority necessary for constitutional ratification. "Anyone who has driven on the roads the past thirty years knows that trade with Japan is already robust, with about $300 billion of total trade between our two nations every year. 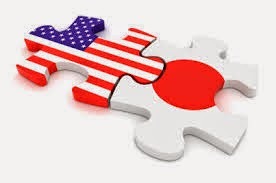 The Trans-Pacific Partnership is not necessary for there to be trade with Japan. Yet, any commercial treaty could and should include monetary policy. Monetary policy is trade policy, and should Congress and the president continue to ignore the elephant in the room, Americans who work for a living will continue to pay the price. "The failure to include monetary policy in the Trans-Pacific Partnership is yet one more reason we urge members to oppose granting trade promotion authority to the president." Tags: Japan, Prime Minister, Shinzo Abe, Joint Session, Congress, Trans-Pacific Partnership SERT TAGS To share or post to your site, click on "Post Link". Please mention / link to the ARRA News Service. and "Like" Facebook Page - Thanks!